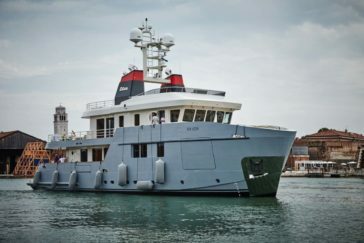 Monday, April 24th in Chioggia has occurred the launch of the new Ocean King 130, the explorer yacht Genesia. 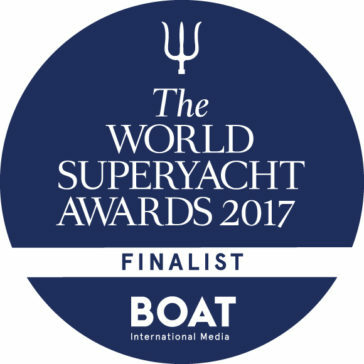 It makes us proud to know that Explorer Yacht Carolin IV is finalist of Superyacht Awards 2017. 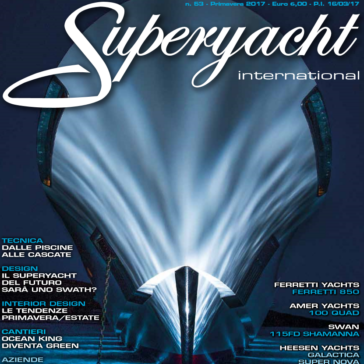 Read ad download the interview with our latest works and new GreenNave projects. 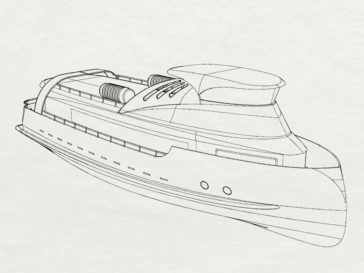 Professional Explorer Yacht Goes Green: Ocean King Hybrid Solution brings clean engines into pleasure tugs at Boot Düsseldorf 2017. 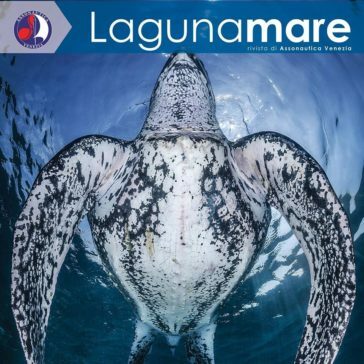 Fill the fields below and download now our 2016 brochure. 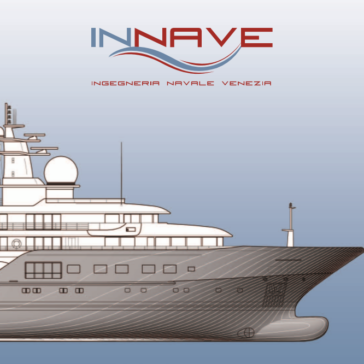 Discover what inNave can do for you. 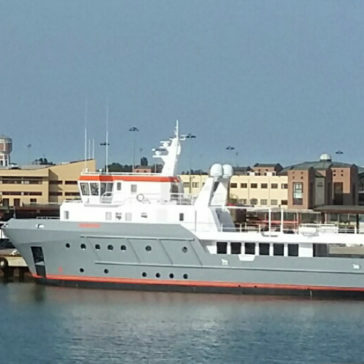 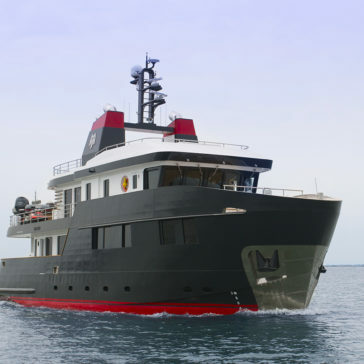 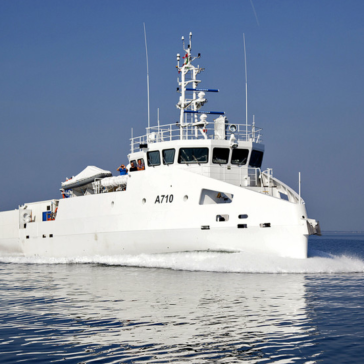 The Explorer Yacht OK100 was delivered to ship owner, she cruises through Mediterranean sea. 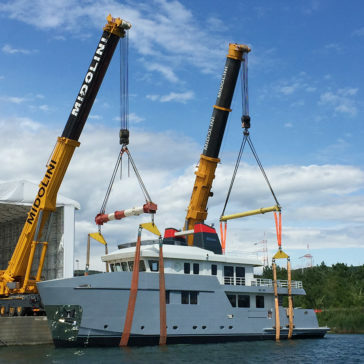 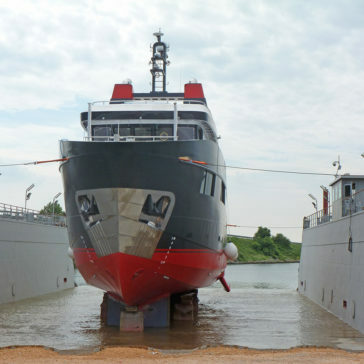 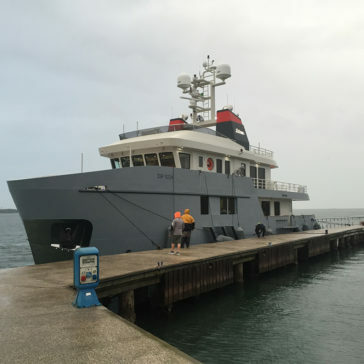 On 08 June 2016, OK100 Yacht Explorer was launching by the dry dock designed by inNave, too. 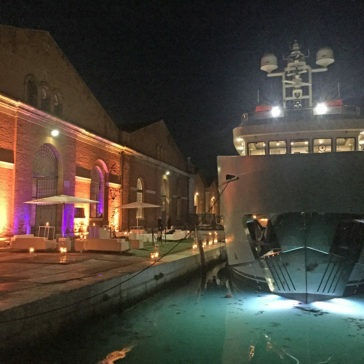 On 15 May 2016, EB100 Explorer Yacht was launching! 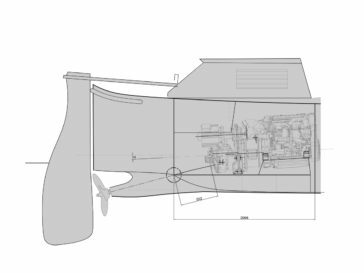 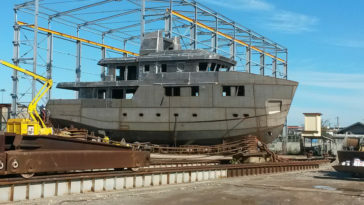 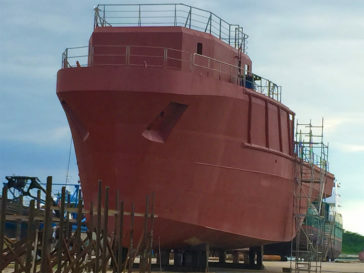 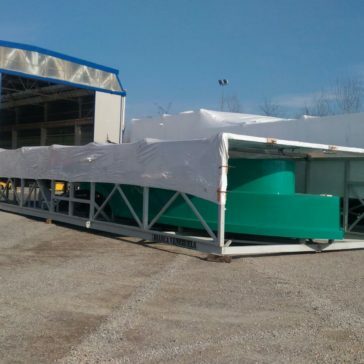 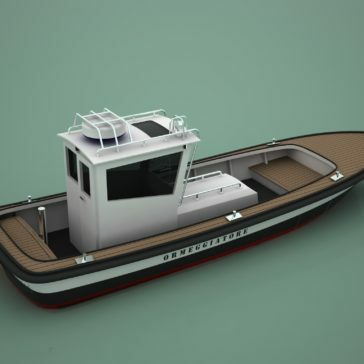 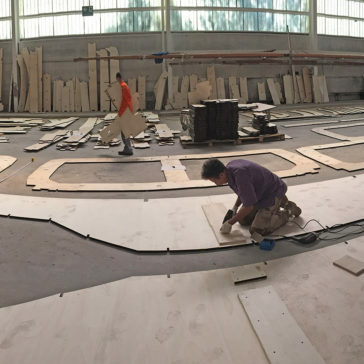 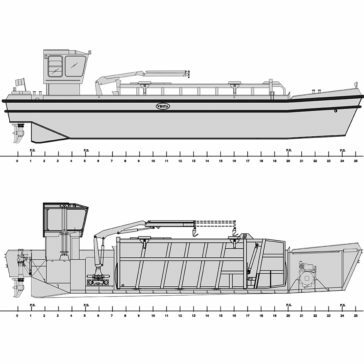 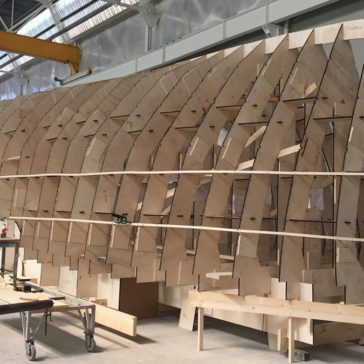 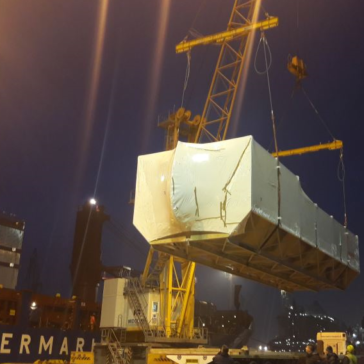 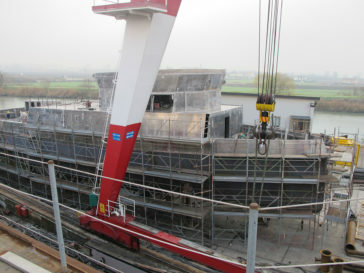 The diving supply vessel is under construction at Vittoria Shipyard, Adria (Ro – Italy). 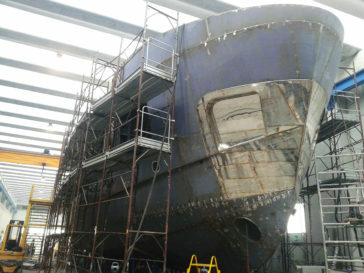 inNave is responsable for construction project.